Smart girls everywhere rejoice! A new deal between Legendary and Amy Poehler's Smart Girls At the Party means we'll undoubtedly be seeing a lot more of the latter. That's certainly good news for the brand — and it's pretty great news for the world, as well. Founded in 2008 by Poehler, Meredith Walker, and Amy Miles, Smart Girls At the Party functions both as an eponymous web series and as a website "to engage followers in volunteerism, civic activism, cultural exchange, and self-expression through the arts." Now the brand's joining the ranks of Geek & Sundry and The Nerdist through this Legendary acquisition, promising loads more content from Smart Girls for, well, smart girls. 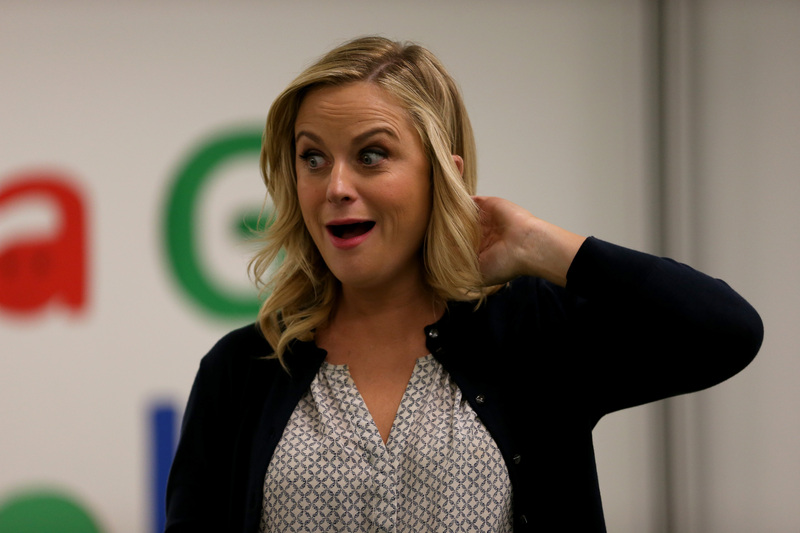 "We're going to make great videos and shows," Poehler said in a video announcing the team-up on Tuesday. "And more of what you like, and a lot more of what you don't know you like yet." Geek & Sundry and The Nerdist seem like pretty apt siblings for a Smart Girls channel: All have an unabashed, celebratory nerd bent, and Smart Girls' mission involves content for young girls, something not being specifically covered by the Legendary family yet. I for one am thoroughly geeking out just at the prospect of what shows this new partnership might breed. Long live smart girls.